The capsids of viruses have a high degree of symmetry. Therefore, virus nanoparticles (VNPs) can be programmed to display many imaging agents precisely. Plant VNPs are biocompatible, biodegradable and non-infectious to mammals. We have carried out bioconjugation of sesbania mosaic virus (SeMV), a well characterized plant virus, with fluorophores using reactive lysine-N-hydroxysuccinimide ester and cysteine-maleimide chemistries. Monitoring of cellular internalization of labelled SeMV nanoparticles (NPs) by confocal microscopy and flow cytometry showed that the particles have a natural preference for entry into MDA-MB-231 (breast cancer) cells, although they could also enter various other cell lines. The fluorescence of SeMV NPs labelled via the cysteines with Cy5.5 dye was found to be more stable and was detectable with greater sensitivity than that of particles labelled via the lysines with Alexa Fluor. Live-cell imaging using SeMV internally labelled with Cy5.5 showed that it could bind to MDA-MB-231 cells in less than 5 minutes and enter the cells within 15 minutes. The particles undergo endolysosomal degradation by 6 h as evidenced by their co-localization with LAMP-1. 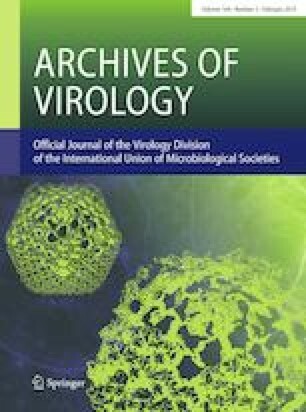 Far-western blot analysis with a HeLa cell membrane protein fraction showed that SeMV interacts with 54-, 35- and 33-kDa proteins, which were identified by mass spectrometry as vimentin, voltage-dependent anion-selective channel protein (VDAC1), and annexin A2 isoform 2 (ANXA2), respectively, suggesting that the particles may bind and enter the cell through these proteins. The results presented here demonstrate that the SeMV NPs provide a new platform technology that could be used to develop in vivo imaging and targeted drug delivery agents for cancer diagnosis and therapy. The online version of this article ( https://doi.org/10.1007/s00705-018-4097-y) contains supplementary material, which is available to authorized users. This work was funded by Department of Biotechnology, India (BT/PR6711/NNT/28/622/2012). We also thank the Indian Institute of Science for financial support and for all the facilities. The Institute of Bioinformatics, Bengaluru, is gratefully acknowledged for help with mass spectrometric analysis. MRN and HSS thank the Department of Science and Technology (DST) for a J.C. Bose fellowship, and the Indian National Science Academy (INSA) for financial support. Vishnu Vardhan acknowledges DST-INSPIRE for providing a fellowship.